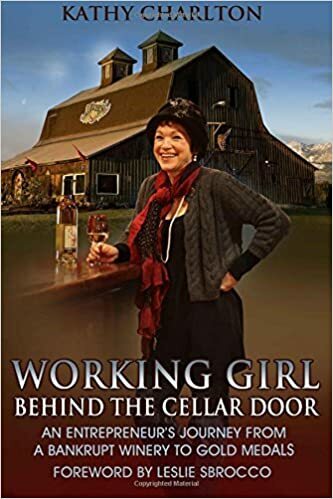 Working Girl: What Next - A Vibrating Wine Glass? The day of the Inaugural Ball I realized I was out of mascara. What does this have to do with a vibrating wine glass you ask… read on! So, I ran out of the ballroom where we were decorating and across the street to Gottschalks. Made a bee line straight for the cosmetic counter; asked for black mascara that washed off with soap and didn’t smudge. I was in a hurry and said I’d take it but gulped when I went to sign my credit card receipt. Yikes, $35. My only excuse for not asking for a cheaper brand… I was in a hurry and well, I wanted to look good for the Ball. OK, so I’ve been using the mascara for 6 weeks now. I’ve had some good laughs talking about it but feel foolish every time I use it. Frankly, I still use the pointed end of a large safety pin to separate out the lashes or remove clumps (just like my Mom). My lashes may be stimulated but they still clump. Last week I was getting ready for an event so my mind was on wine when I pulled out my trusty mascara. As I unscrewed the cap and it started vibrating I got to thinking about wine glasses. What if a wine glass was battery operated, played your favorite song and vibrated to the music, of course releasing the bouquet of the wine to the beat of the song ? I walked into the kitchen and looked at my wine glasses… different sizes and shapes for different wines and I got to musing about the perfect song for a wine glass (white, sparkling and red wines). Don’t worry; I’m not inventing another gimmicky wine product. But you’ve got to admit, you might think about your wine glass a little differently, especially while applying “vibrating” mascara.